companies in the world. For example, a Capgemini study found that since 2000, 52% of the Fortune 500 has disappeared through acquisitions or bankruptcies. The study also found that digital organizations control 70% of market share in all industries today. Therefore, making the shift to a digital business must be a top initiative for IT and business leaders. 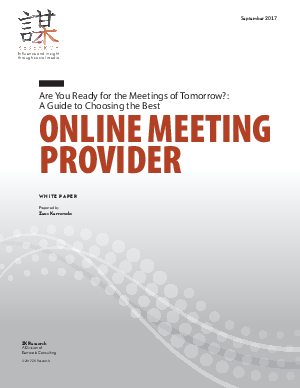 Download this whitepaper to see how Cisco has become the Market Share Leader in Online Meetings.